Derek Jubach Wins SmartCEO Executive Management Award - Wood Street, Inc.
Washington SmartCEO recognized this year’s Executive Management Award winners at an awards ceremony on Monday, March 9 at the Hyatt Regency Crystal City. 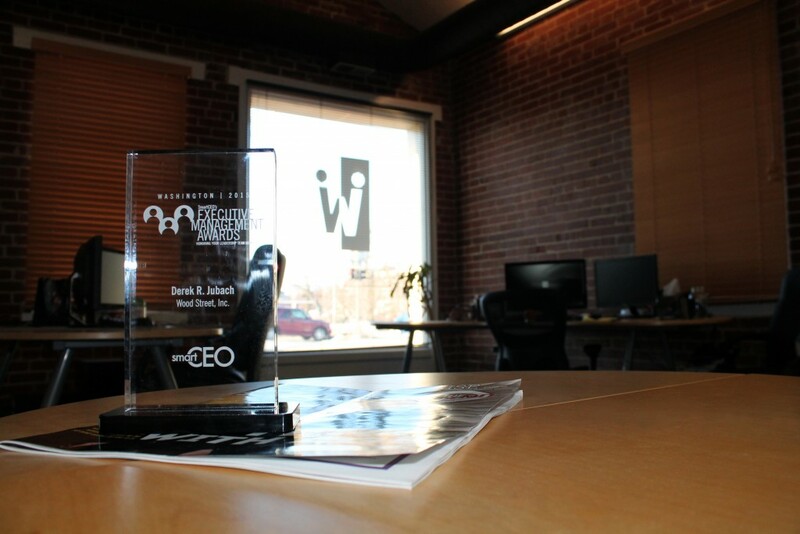 Forty Greater Washington executives were recognized for their creative management vision, leadership philosophy, innovative strategy and undeniable work ethic. The 2015 Executive Management Award winners collectively generate nearly $6.1 billion in annual revenue and employ 18,988 individuals in Greater Washington. 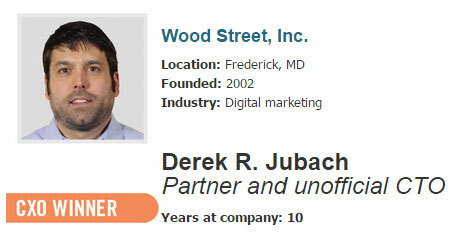 Among those winners was Wood Street Partner and unofficial CTO, Derek Jubach! Derek manages all development here at Wood Street and his dedication and professionalism are noticed by so many of our clients. So much so, in fact, that Theresa Blaner of NMR Consulting, previous EMA winner and Wood Street client, insisted that we nominate Derek for this year’s award. Derek’s award was in the CXO category. Each year, SmartCEO awards executives in the CFO, CIO/CTO, Chief Legal Officer/General Counsel, Chief Human Resources Officer, and other C-suite categories. Want to congratulate Derek, leave a comment below!